Peace – an elusive ideal or a realistic goal? Peace — an elusive ideal or a realistic goal? Looking back to events as the ‘Great War’ started one hundred years ago gives us a real opportunity to honour the bravery of those who sacrificed all for their country and to put their sacrifice in the context of history. There was no gradual dawning of the war for the town of Rugeley as in autumn 1914 the construction started of two enormous camps on Cannock Chase. These camps – Rugeley Camp and Brocton camp - were capable of housing up to 40,000 men at one time, and probably trained in the region of 500,000 men before they moved on to the Western Front. 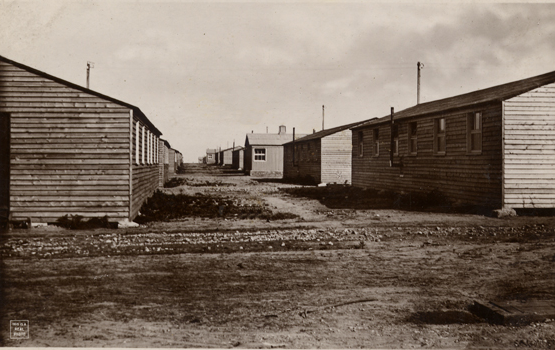 From 1916 onwards the camps also housed a large hospital with twelve wards and over 1,000 beds, which reflected the ferocity of the fighting and the need for recuperation and convalescence. What an impact on the town that must have made! After all these years we might ask ourselves the question was all the suffering and disruption worth it? The promise that it was ‘the war to end all wars’ certainly proved hollow when countries were plunged into yet another devastating war only twenty years later. Certainly since then there has been a wonderful period of peace in Western Europe, however other parts of the world have seen more or less continuous conflict. When we look round the world today we may ask the question: are there good prospects of peace for us in the near future? It would be a supreme optimist who replied ‘yes’ with confidence! Yet we believe that there is a place to look, which does provide a real prospect of peace both in our own lives and in the world at large. The Bible has stood the test of time: Peace has never been more desperately needed, yet more difficult to find. Perhaps ‘going to war’ is not the answer and we now need a fresh approach to peace.